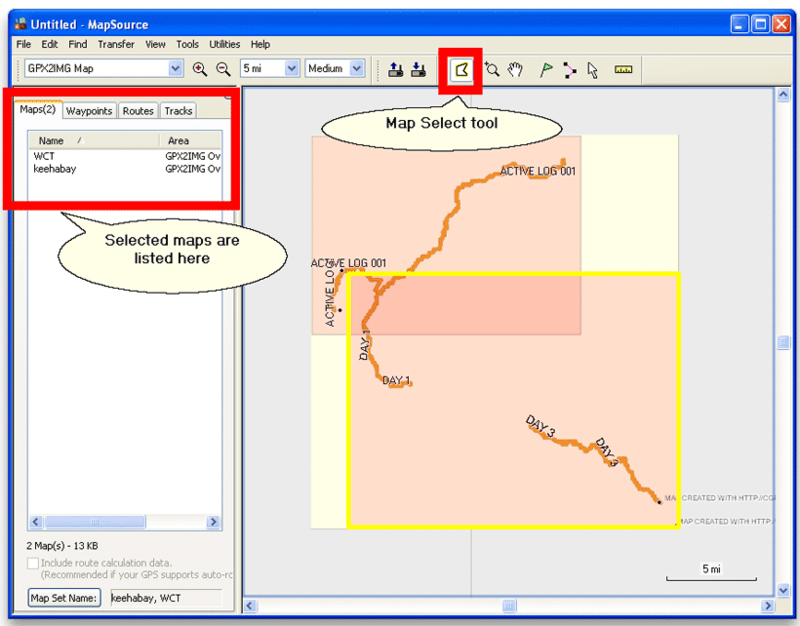 So you're downloaded and installed GPX2IMG but don't know what to do now? You've come to the right place! 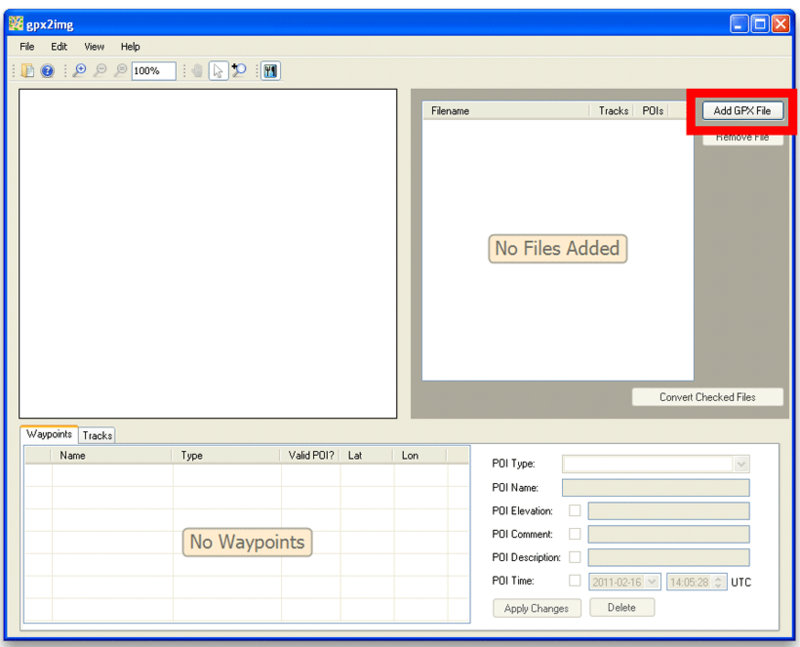 Follow along for a quick step-by-step tutorial on how to convert your GPX files to IMG files you can load onto your GPS unit. A GPS unit to load your new maps to! 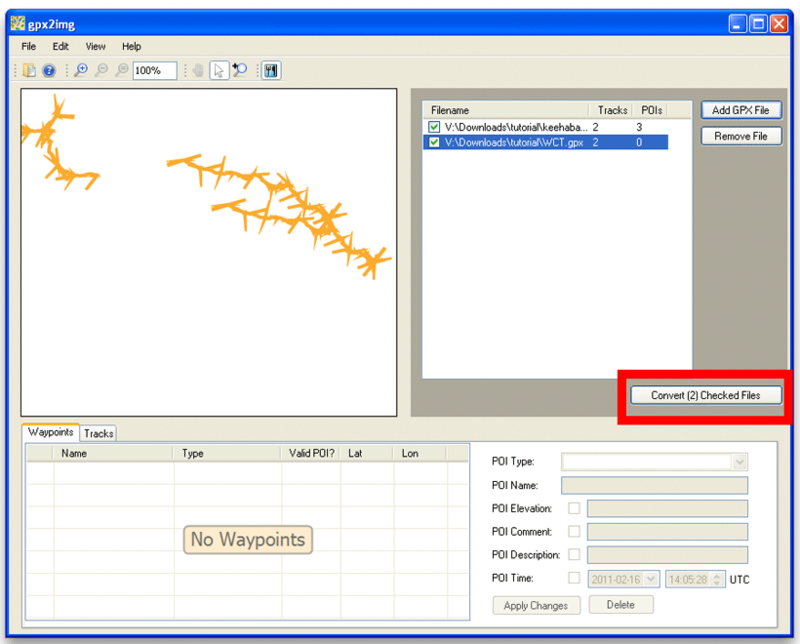 keehabay.gpx and WCT.gpx and save them in a convenient location with the specified filenames. 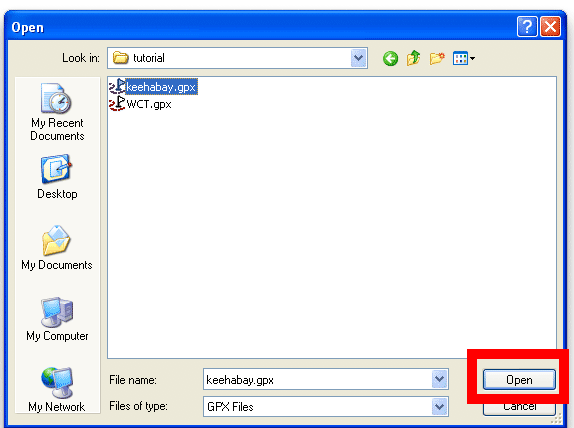 Navigate to where you saved your files and select the "keehabay.gpx" file and click "Open"
After a short wait (plus 15 seconds in the trial), you'll get the success window! 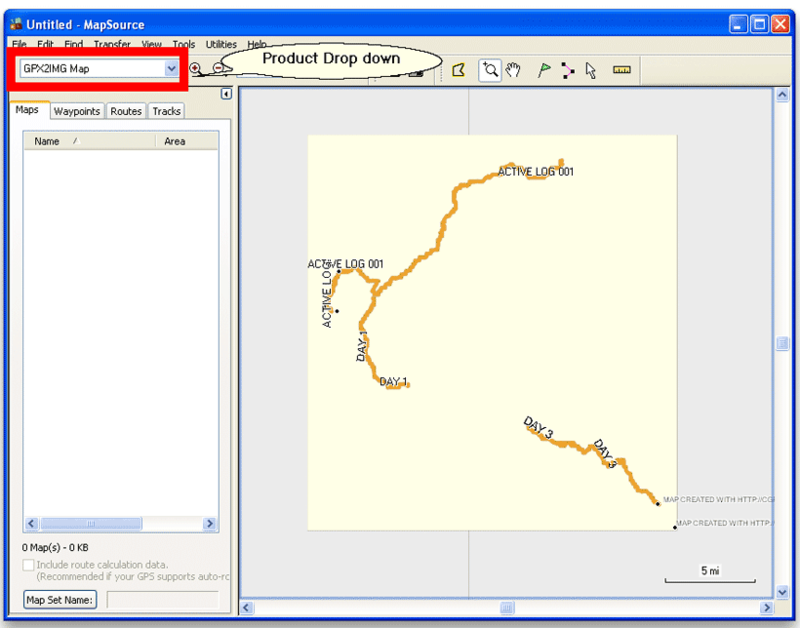 To load with another map (eg topo, city, etc), (without clicking elsewhere on the map) switch to your desired product using the drop down list and using the Map Select tool, select the map tiles you wish to load along with your map. In my example, I am loading the Topo Canada maps from the same area as the maps we just created. From the Transfer menu, choose "Send to Device.." and load your maps to your GPS unit as you normally would. You should now be able to view the newly created maps on your GPS unit along with any other maps you loaded with it. If the map does not appear, you may need to change the settings of your GPS unit to enable display of the maps. 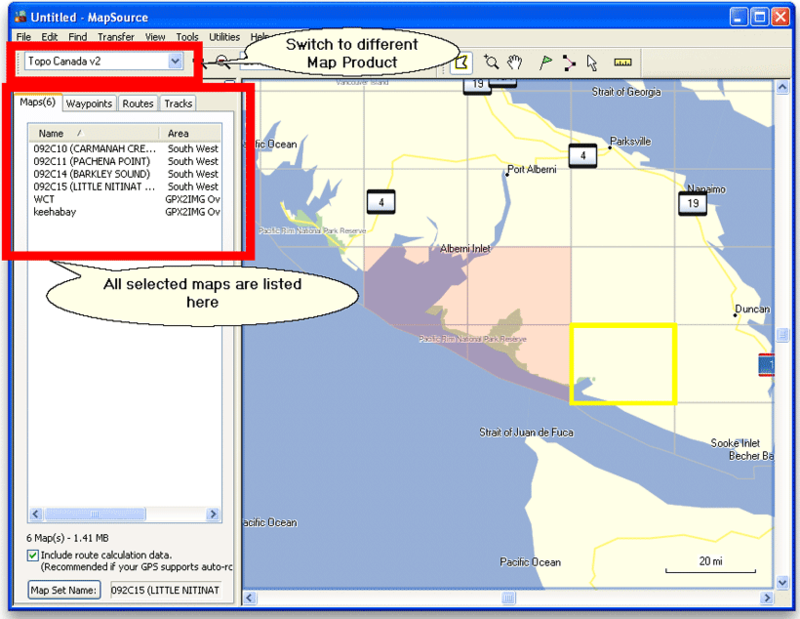 See http://www.gpsfiledepot.com/tutorials/how-to-change-which-map-is-displayed-on-a-garmin-gps/ for more details.